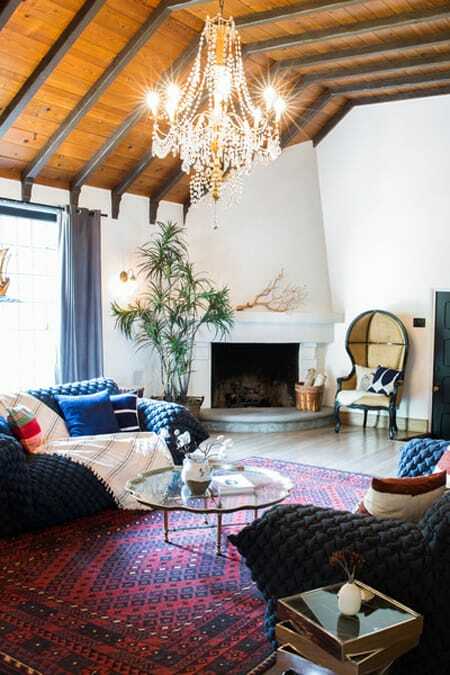 Actress Dianna Agron has created a home that captures a whimsical spirit uniquely her own. The house – nestled away in the Hollywood Hills – features beautiful architectural elements such as wood clad vaulted ceilings, a curved fireplace, and a Tudor-style exterior. The interior is just as charming. What’s inspiring about this home’s interior design is how varied it is from room to room. 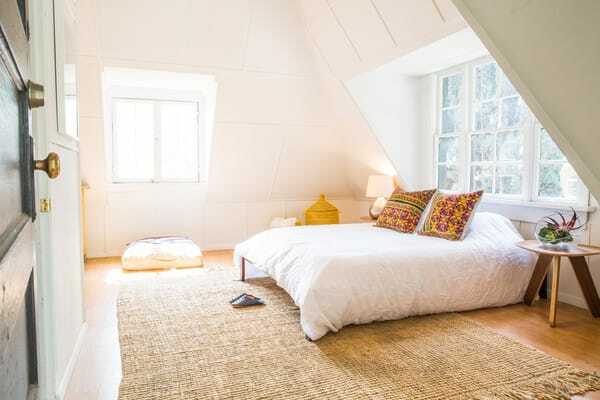 For example, each of the bedrooms has a unique identity that differs from the home. Even the kitchen embraces a vintage vibe while the living room feels rather eclectic and bohemian. Though the style is fluid, each space still manages to feel like it fits into a larger vision and flows nicely from one to the other. The house reads like a story with different chapters. There are a lot of fun, playful elements mixed with more mature and sophisticated ones. This particular home tour is another great example of making a home entirely your own and ignoring the so-called “rules” of design in favor for something that expresses your own sense of style. Two blue sofas and a burgundy rug bring some pops of color to this warm, rustic living room. 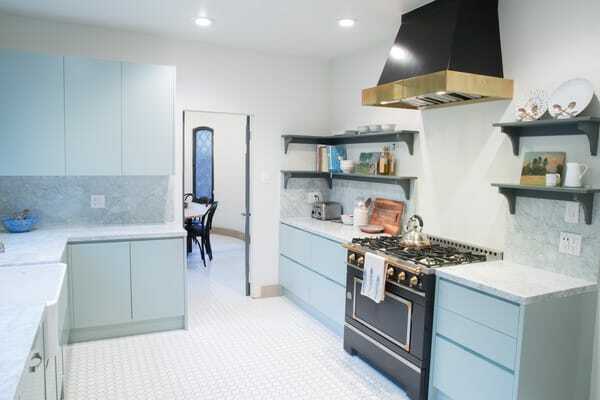 The kitchen has a vintage flair with mint blue cabinets and vintage-inspired appliances. The living room is a mixture of styles and interesting pieces that come together to create a unique atmosphere. A dark, floral wallpaper with gold accents adds a luxurious vibe to the home office. 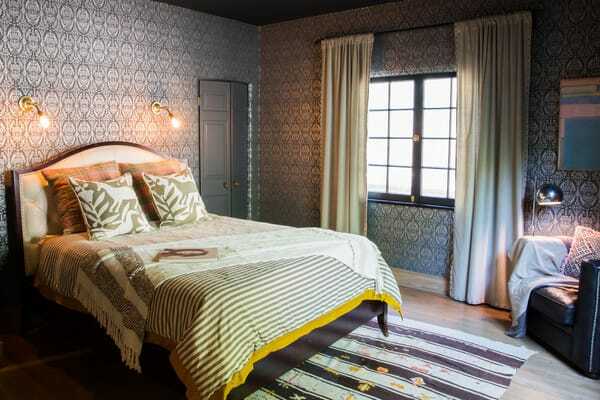 One of the bedrooms features more metallic wallpaper that looks ultra chic. 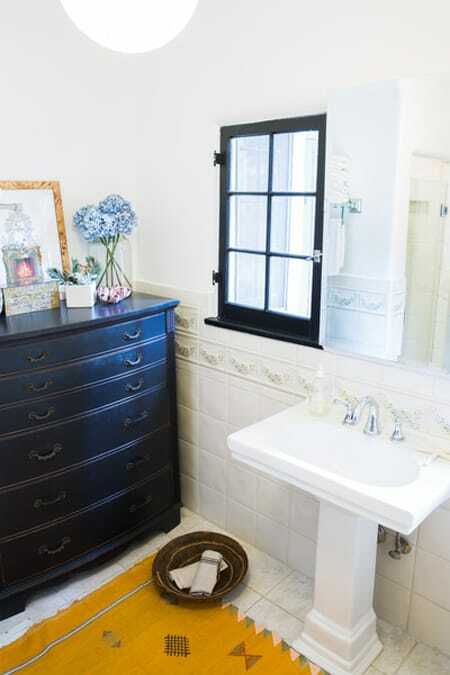 A chest of drawers provides extra storage in the quaint bathroom. The outdoor living area is just as charming as the interior with both a sitting area and dining area. Another room goes classic in black and white. The black, glossy finish on the doors adds a luxe touch to the space. In yet another bedroom, the decor is more laid back and casual. The books are organized by color to create more of a visual impact. 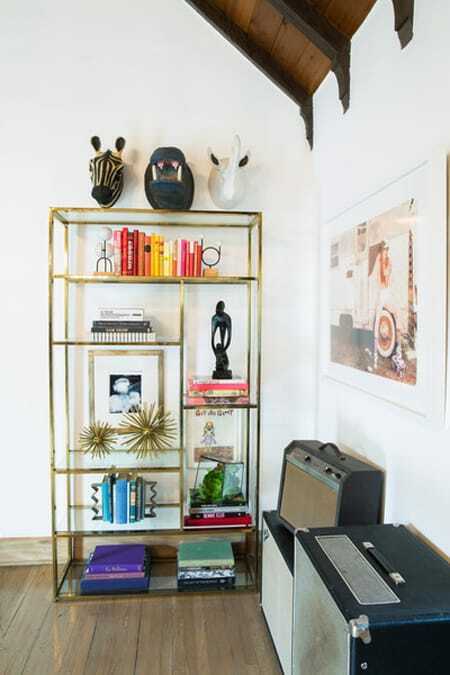 See more of the home tour over at Lonny.